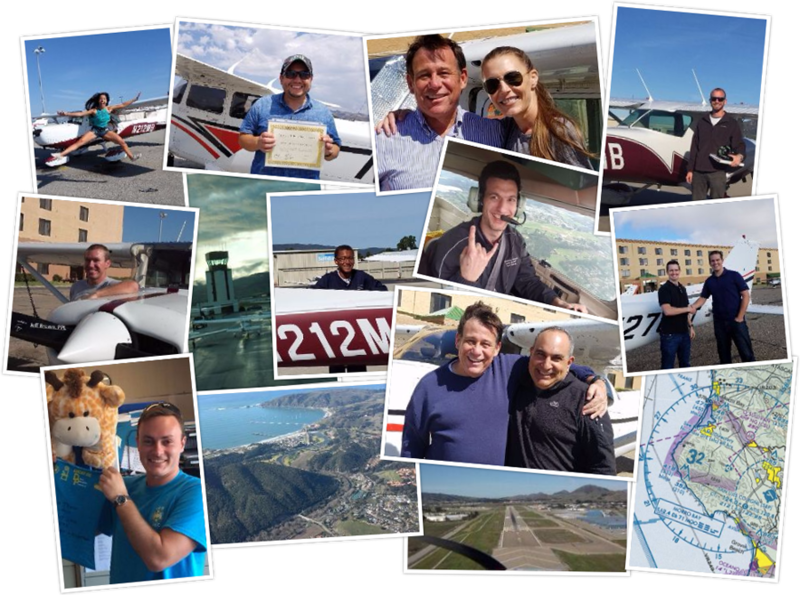 Aerocademy was founded in 2007 to give future and current SLO area pilots a place to further their aviation education. We take pride in creating a sense of community by having Saturday morning open house gatherings and participating in local aviation events. Aerocademy is known as the place to go for top quality learning from our outstanding, dedicated and professional instructors. We welcome students from all over the world to fulfill their dreams of flight. Whether you are a private pilot candidate seeking your license in less than 30 days, to a Certified Flight Instructor candidate seeking coaching, and all the licenses/certificates in-between, as well as flight reviews, instrument proficiency checks and aircraft checkouts – Aerocademy offers the full spectrum for the dedicated candidate/pilot. Come meet the community and join us at SLO 99s and EAA meetings and events. Get to know the controllers from our tower. We welcome you to visit us and see the difference. What is the airport identifier for San Luis Obispo?